Bring some sunshine to your table. 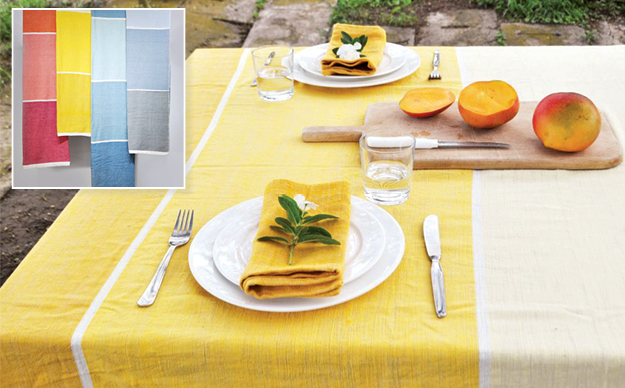 These bright colored tablecloths have 5 blocks of color and come in two lengths. One is 112″ long and the other is 118″. The Raya design has two outermost blocks that are the same color, the blocks next to those are also the same color. The middle color is a lighter tone. Our napkins coordinate beautifully. Machine wash cold. Tumble dry low. Iron if necessary. No bleach.